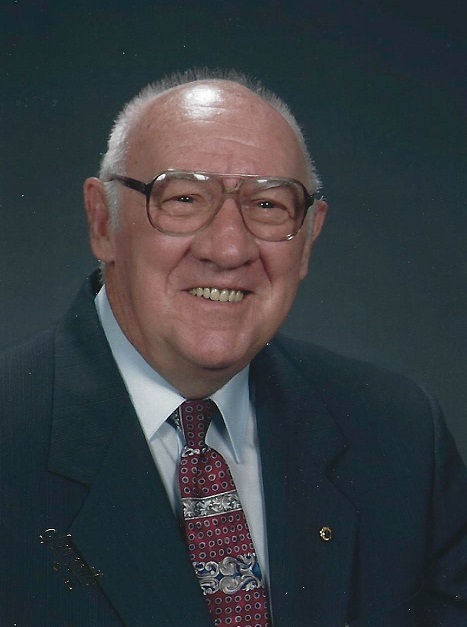 DONALD LEE WARRENFELTZ, 89, of Hagerstown, MD, passed away Monday, February 4, 2019. Born in Washington County, April 16, 1929, he was the son of the late Wade W and Sadie Delauter Warrenfeltz. Donald was the husband of Betty (Itnyre) Warrenfeltz, whom he married December 9, 1950. He was a graduate of Smithsburg High School, class of 1948. He served in the U.S. Army, 508th Airborne Division from 1951 to 1953. He was employed by Independent Cement Corporation (currently Helcim Cement) for 36 years, retiring in 1991. He was a life-long member of Trinity Lutheran Church in Smithsburg, MD, where he had served on the church council and was a member of the Combined Bible Class. He was a member of Elks Lodge #378 in Hagerstown, MD, and was a member of AARP, Smithsburg Historical Society and the Smithsburg Lions Club. He served as a volunteer driver for the Smithsburg Senior Center. A long-time fan of sports, Donald played baseball in the Washington County League on the Chewsville and Smithsburg teams. He coached youth baseball in the Colt League and at Valley Little Leagle for 20 years. He served on the Advisory Board for the Washington County Youth Football League. He was an avid hunter and fisherman. In addition to his wife of 68 years, Betty, Don is survived by his children: Larry and wife, Nancy, of Pensacola, FL; Dean and wife, Nancy, of Martinsburg, WV; Lon and wife, Victoria, of Naples, FL; and Daryl and wife, Lori, of Waynesboro, PA; grandchildren James Warrenfeltz and wife, Elizabeth, of Zionsville, PA; Lindsay Koppes and husband, Nathaniel, of Bothell, WA; Whitney Ostrowski and husband, Zachary, of Martinsburg, WV; Megan Carey and husband, Daniel, of Waynesboro, PA; Cole Warrenfeltz and wife, Kenzie, of Royse City, TX; Alison Warrenfeltz, Luke Warrenfeltz and Levi Warrenfeltz, all of Naples, FL; great grandchildren, Madeline, Chloe and Nathaniel Warrenfeltz of Zionsville, PA; Jacob and Michael Koppes of Bothell, WA, Nash Warrenfeltz of Royse City, TX; and Haven Carey of Waynesboro, PA; two step-grandchildren, Jennifer Wing and Kristopher Harris; step-great-grandchildren of Sterling, Jade, Amber, Crystal, and Stone Wing; Ruben and Josephine Harris. Donald was the last member of his family surviving his brothers, Hubert Warrenfeltz, Grayson Warrenfeltz, Roy Warrenfeltz, Dorsey Warrenfeltz, and sisters, Elizabeth Baxter, Naomi Clopper, Mary Gallo and Vada Lantz. Services will be held Friday, February 8, 2019 at 10:00am at Trinity Lutheran Church, Smithsburg, MD, with Pastor Virgil Cain officiating. Burial will be in Smithsburg Cemetery. The family will receive friends Thursday evening from 6-8pm at J.L. Davis Funeral Home, Smithsburg, MD. In lieu of flowers, memorial donations may be made in memory of Donald Warrenfeltz to the Smithsburg Athletic Boosters Club, 66 N. Main St. Smithsburg, MD, 21783 or Hospice of Washington County Doey’s House, 747 Northern Ave. Hagerstown, MD, 21742 or www.hospiceofwc.org. Online condolences may be offered at, www.jldavisfh.com.